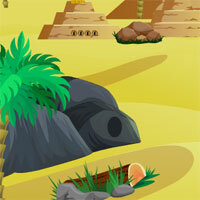 Avm Mummy Coffin Escape is another point and click escape game developed by Avm Games. The pyramids are one of the most fascinating structures built by men. It's so amazing that some people tend to question its authenticity. However, no matter the truth behind the history, the pyramids will never lose their awesomeness. And because of that, you book the next fly out to Egypt.